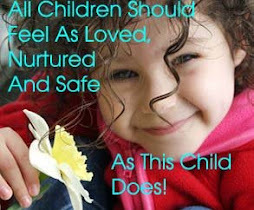 Love Our Children USA: Abusive teachers: Are our children safe at school? In the midst of National Child Abuse Prevention month teachers are in the news. Not for stellar teaching but for abusing children. New York City: Sabrina Milo, a 34 year-old teacher was arrested for telling co-workers she planned to bring a shotgun to school and "settle some scores" in what was described as a "Columbine style" plot. Bronx, NY: An 11-year-old Bronx girl has sued New York City, claiming that police officers overreacted last spring, handcuffing her after a fight with a third-grade classmate and denying her mother’s request to be present when they interviewed her. Brevard County, FL: Group Leader at South Lake Elementary School taped a 5-year-old student to a chair with packing tape. Child abuse has reached epidemic proportions in schools throughout our nation and has become an alarmingly frequent occurrence. The cases that are surfacing almost daily serve as a wake-up call to everyone in America to protect our children! Whether it’s sexual abuse or corporal punishment, child abuse in our schools is happening all over the country. Although the vast majority of educators and other school employees are not child abusers, the stories continue to unfold throughout our nation. A former teacher was sitting in the audience of the popular TV talk show “The Talk” and when asked her views on corporal punishment she said she believed in hitting a student to keep them disciplined. Corporal punishment must not be allowed. Any sexual contact between teacher and student is a crime. Sexual abuse is a child becoming a sexual partner for an adult. Anyone under the age of 18 who is used by an adult for sexual gratification is being Sexually Abused whether or not the child consents. • Educate about child abuse prevention education beginning at the school board level … establishing strong, clear policies that warn teachers of inappropriate conduct, such as putting themselves in vulnerable positions where they are alone with students. • Hold mandatory child abuse prevention training and educational seminars for all staff including teachers, bus drivers, cooks, etc. on a monthly basis. Training sessions can help educators understand their district's policy, the warning signs of possible sexual abuse, and the procedures for reporting abuse when they see it. • School leaders must make it clear to all staff that the district is serious about investigating any hint of child sexual abuse. • Stricter reference and background checks. Meticulously screening of new hires. School administrators must do criminal background checks on applicants and call their former employers and associates, including some who may not be listed on their resumes. Be leery of gaps and frequent changes in an applicant's job history. • Immediately notify police or community social service authorities. We must write to our legislators and demand Zero Tolerance. Contact your politicians and ask for stronger laws that protect our children and for a stronger statute on mandated reporting of child abuse. All responsible citizens with knowledge of child abuse, which is a crime, should be required to report it, even if it's only suspected. Write letters, e-mail, make phone calls … take action. It's time for America to wake-up! Knowledge is power. Learn all you can about child abuse. Educate yourself, your children, your family, your friends, neighbors --- everyone you know. We must keep our children safe!